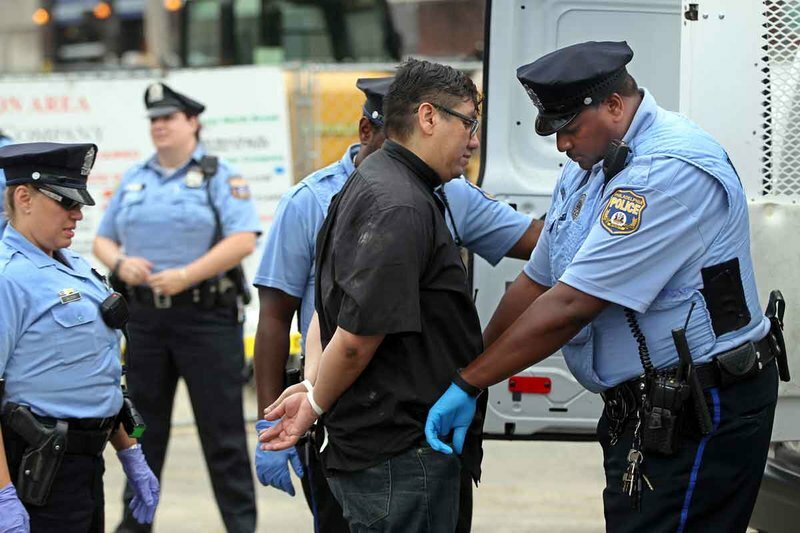 An activist minister, an undocumented mother of American citizens, a teenager born in Philadelphia to a woman living here illegally, and a member of the immigrant support group Juntos were arrested Tuesday during a protest in Center City. 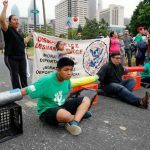 More than 100 families protested at the Philadelphia Immigration and Customs Enforcement office, asking for an immediate moratorium on deportations. A Supreme Court decision is allowing 26 Republican governors to block the Obama Administration’s deferred deportation program. The protesters linked themselves together and temporarily blocked the I-676 off ramp to Broad Street, causing a major traffic jam.